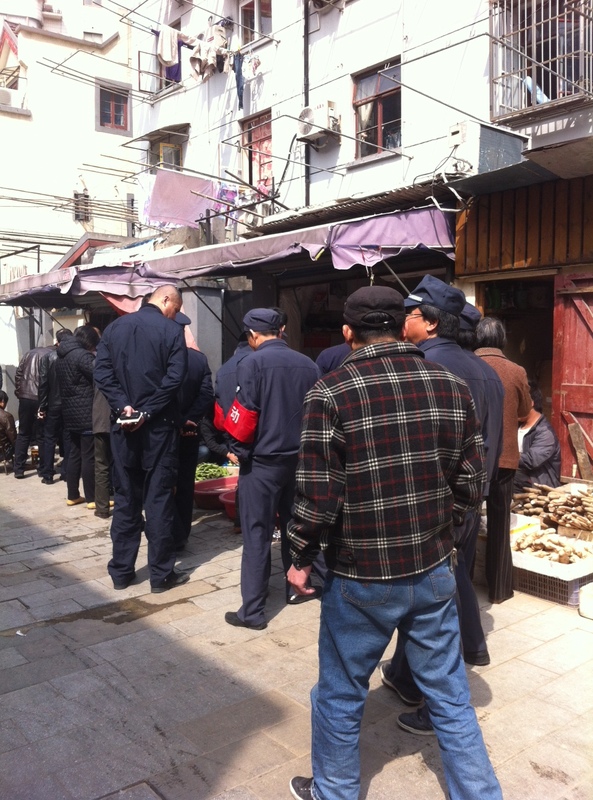 People had received text messages about rotten beef meat from Suzhou. In the meantime, I was secretly planning to avoid taking them on any road where I knew live poultry was sold (Chinese like to buy their poultry and fish live and have it slaughtered on the spot). However, within a week or so, we noticed important changes in our immediate environment. All the loose and caged chickens on the street suddenly vanished. It was as if the whole species became extinct overnight. On our street, the lady who sells vegetables and chickens didn’t have any. My Chinese teacher told me it was increasingly difficult to buy chicken meat anywhere. 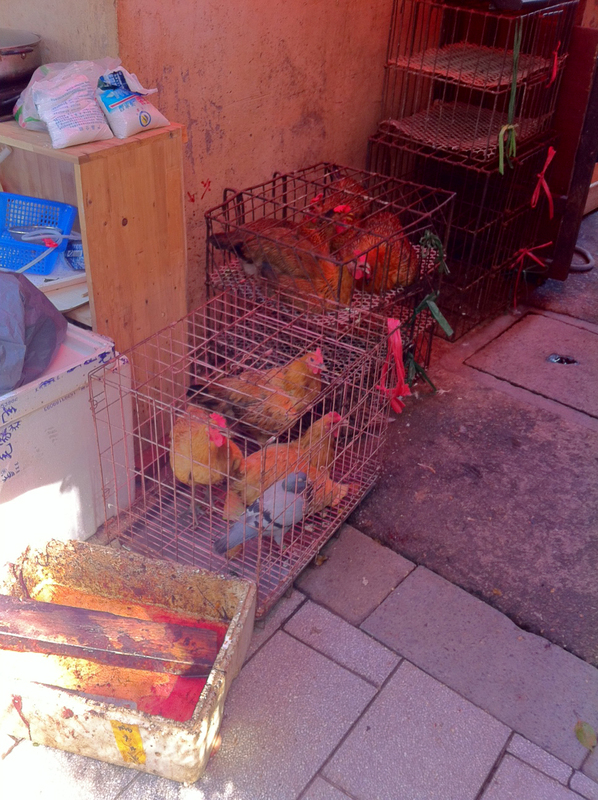 Where I work in Jiashan Market, we can usually see and hear the poultry live and then be killed at the daily wet market. I arrived one morning at the same time as about 30 policemen, coming to check whether there were any live chickens still being sold. Although I don’t usually tend to panic too much about these things, I have to admit I was reassured to see that there was a certain level of control as I still didn’t want to spend several hours about 10 meters from any live poultry. Our friends’ trip went well, although we did come close to a living chicken somewhere in the countryside near Yangshuo in the south of China, but no one got sick. By now, the whole matter seems to have disappeared from public concerns as well as from local and international media. 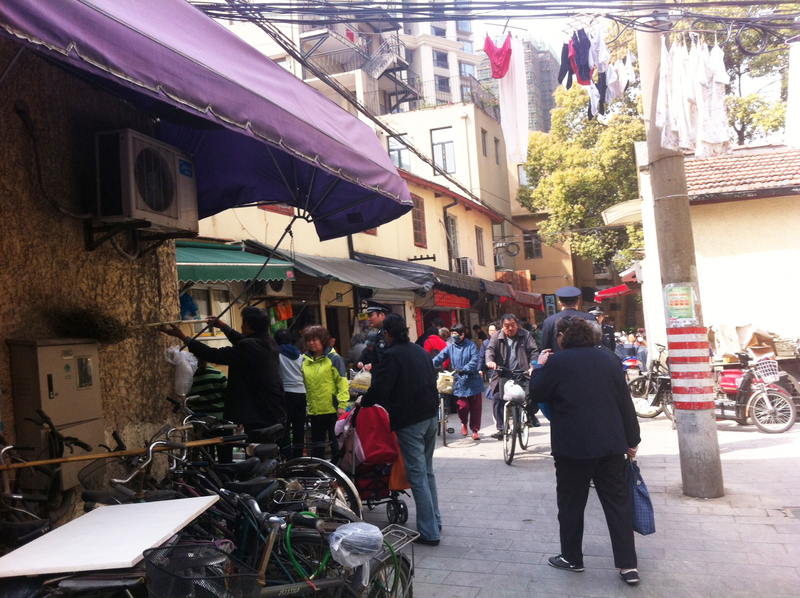 People consume chicken again and in fact, they are back at Jiashan Market, as if they had never been away, tucked in their usual corner and being slaughtered the good old-fashioned way. And as per all things food and health related, we will never get to the bottom of that story either. Early or lifelong identity problems? All text and pictures are my own, unless otherwise stated. You're welcome to reproduce or use any of my work, however please make sure you appropriately acknowledge the source and, if you can, link back to the original post. Thank you!